There’s one truly great, chills-inducing scene in Bradley Cooper’s directorial debut, the latest Hollywood remake of A Star Is Born. It’s the moment when all the pent-up crowd-pleasing catharsis the movie has been withholding under its ramshackle minimalism comes erupting out of it like a geyser of feeling. Ally (Lady Gaga), an aspiring singer, stands just off stage as Jackson Maine (Cooper), the country-western-rock veteran she met the night before, performs one of her songs. He’s asked her to sing it with him, but she’s too nervous—there are, after all, thousands of screaming fans out there in the dark. But as Jackson croons her words in a low, Eddie Vedder murmur, plucking the melody out on an acoustic guitar, a rush of courage builds up inside her. And suddenly, as if possessed by her own bewitching song, she’s striding into the light, just in time to take over the second verse and then belt, with a force of conviction she can scarcely believe she’s summoning, the triumphant chorus. The crowd, of course, loves her instantly. We do, too. Only a truly incompetent filmmaker could fail to generate at least a little rousing power from the star-is-born moment of A Star Is Born. But Cooper, feet planted at once behind and in front of the camera, doesn’t just rest on the foolproof cornball hook of Ally grabbing her destiny by the mic stand. Nor does he simply count on the song, a sublime earworm ballad called “Shallow,” to sell the arena-scaled sentiment on its lonesome. No, what elevates this centerpiece scene from stirring to transcendent is the trust Cooper puts in his own star, a reigning queen of pop reinventing herself as a dive-bar chanteuse standing on the cusp of fame. Gaga gives us the full spectrum of Ally’s emotions in that make-or-break moment: the paralyzing uncertainty, the steeling of nerves, the way her joy mingles with her vulnerability. Cooper, in turn, keeps her right at center, his camera locked in close-up through the entire transformative experience, building the whole show around what’s running through Ally’s head and scrawling itself across her features. It’s that kind of intimacy that makes A Star Is Born such a soulfully satisfying entertainment, at least for a while. We know the tale by heart: A waning celebrity falls for a bright young performer, ushering her into the limelight even as he slips further out of it. The dream factory has told it three times before (the 1954 version, starring Judy Garland, remains the gold standard), and in a way, knocking out a new remake every generation feeds right into its vision of showbiz as a ruthless cycle, always sending one career up as another goes down, on and on forever. Cooper, who co-wrote the script with Eric Roth and Will Fetters, doesn’t muck much with the tried-and-true formula of this timeless Hollywood myth, a Cinderella story that crumbles into tragedy. Yet he still makes it feel new, mostly by grounding it in an authentic sense of character and place, even as he bathes its mythic fairy-tale narrative in a swoony rock-star romanticism, like the glow of a thousand lighters illuminating a darkened stadium. For maybe an hour, the movie is irresistible, buzzing with the electric spark of physical and creative attraction. Cooper’s Jackson, past his prime and drunkenly phoning in the big hits for big crowds, is so dependent on the bottle that he stumbles into the closest watering hole, which turns out to be a roadside drag joint on karaoke night. (If it serves alcohol, it’s his kind of bar, he reassures the skeptical doorman.) It’s here that the aging superstar first locks eyes with Ally, who’s friends with the queens who run the place and makes her grand entrance doing a vamped-up rendition of “La Vie en Rose”—the first moment that allows Cooper the director to show off what an instantly accomplished image-maker he is, at least when it’s Lady Gaga he’s spectacularly framing. Jackson is bewitched by Ally’s natural beauty (when she complains about her nose, he begs emphatically to differ), but he’s also drawn to her voice, her passion, her talent, all those things that echo another artistic lifetime he maybe only dimly recalls. Ally, who waits tables and no longer entertains the dreams a superficial music industry has squashed, is a little starstruck—and a little distrustful of the attention, too. But she lets her guard down anyway. What Cooper understands about this material, crucially, is that it lives or dies on the chemistry between the leads. And the two have a surplus of that, forging a playful, smoldering connection over the Before Sunrise up-all-night meet-cute of the film’s extended opening act. Together and separate, both actors are tremendous. Over the years, Cooper has become a remarkably versatile performer. (Can Jackson’s bone-deep rumble really be coming from the same vocal chords that bring Rocket Raccoon to life?) In A Star Is Born, he certainly looks the part of a washed-up FM idol—his skin leathery and puffy, his face swallowed by facial hair that seems to evoke a thousand classic-rock influences. But the power of the performance is the way Cooper slips, willfully and at times wrenchingly, into intoxication—it’s his tragic vice, but also his lifeblood. Gaga, though, is the real revelation: At once radiant and down-to-earth, she reveals flickers of the, yes, star yearning to explode out of this restless woman, stuck in an ordinary life she doesn’t want. And once Ally does get it all, Gaga keeps that same restless woman in sight, always there behind the glitz and glamour. A Star Is Born can’t quite sustain its magic—the laidback, seductive naturalism of its opening stretch or the pure pleasure high of Ally and Jackson taking the stage together for the first time. All versions of this story reach a certain necessary comedown, as the rise-to-fame portion of the evening ends and the fall-from-grace begins. But in Cooper’s film, that shift is more deflating than heartbreaking. Jackson’s drinking problem, we eventually learn, stems partially from a tortured and rather cliché family backstory—the daddy issues that have corrupted his relationship with his older brother and manager, Bobby (Sam Elliott). Even less convincing is Ally’s transformation into a synthetic commodity, groomed for platinum success by a soulless A&R bloodsucker (Rafi Gavron) straight out of a bad rock ’n’ roll biopic. The implication, tired and cheap, is that Jackson’s brand of radio-courting Americana is somehow inherently better and more “honest” than contemporary dance pop—a fallacy regularly disproven by Gaga’s real music. Anyway, the development feels contrived, because we can’t quite buy that the Ally we’ve met, smart and headstrong, would so quickly abandon her artistic integrity at the ask. Really, it’s all downhill from “Shallow.” That, of course, is by design: Our heroine’s big coming-out moment, the duet heard round the world, is a highpoint of happiness from which Ally, Jackson, and the audience must inevitably plummet—this being, after all, a faithful, power-chord cover of a Technicolor tearjerker. 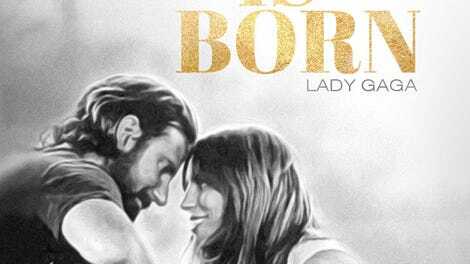 But the remarkable scene, and the great song that drives it (the best of a rock-solid soundtrack of rock tunes), reverberates through A Star Is Born like a melody that gets stuck in your head. And if the film’s light fades as it spirals toward a climax whose tragic power is more theoretical than deeply conveyed, it never quite goes out. Mostly, that’s because Cooper keeps both the camera and his dramatic focus tightly locked on the characters, and on Lady Gaga’s face, expressing the full ecstasy and agony of what this timeless tale throws at her. Like Jackson, he can recognize a natural, brilliant talent when he sees one. And he knows, too, when to get out of the way and cede the spotlight. Note: This is an expanded version of the review The A.V. Club ran from the Toronto International Film Festival.